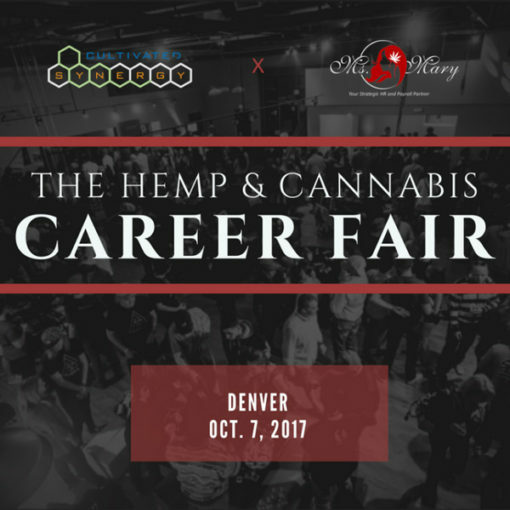 The 2017 Hemp & Cannabis Career Fair is coming to town this Saturday, October 7, 2017. The fair offers a distinctive combination of the brightest candidates and leading industry organizations looking to connect, engage, and recruit top talent in a wide spectrum of industry opportunities. Serving hemp, Cannabis and ancillary businesses in multiple markets, this fair strives to continually create “An Environment to Thrive” for both job seekers and recruiters. The Good Chemistry team will be on site to meet with members of the community. We invite those interested to stop by our booth and learn more about open positions with Good Chemistry. Good Chemistry Nurseries is a nationally recognized and highly successful Cannabis producer and provider with a superior reputation for product and production excellence and retail experience. Good Chemistry is committed to making life better for everyone by safely and responsibly growing, producing and providing the world’s finest Cannabis. RSVP for The 2017 Hemp & Cannabis Career Fair here.